Some posts, such as this one, raises a fear in me that I should ever look like a hypocrite. I shudder to think of anyone reading this thinking-wow she must have it together. It couldn't be farther from the truth, dare I ever mislead anyone to even imagine that for a second. So consider this your disclaimer: the thoughts I'm sharing with you today are taking much bravery, some boldness, and lots of tenderness. For they are not the words that describe my life at the moment. However, they are the words that describe my heart, my conviction, my burdens, and what I'm striving towards. Our life's response to the fact that He is God and I am not. So He calls the shots, He has my attention and my focus. When I think of true worshippers in the Bible of course many come to mind, but at the top of the list in my mind is without a doubt Shadrach, Meshach and Abednego (Daniel 3:1-30). It's a story we can easily feel cut off from in our day and age. Anyone been threatened to be thrown into a blazing furnace if you don't bow down to a false god lately? Probably not. But have I been pulled and pursued by other idols in my life that are begging for my worship (attention, focus) instead of God alone? Every single day. Some days it can feel like a constant struggle. So today I'm sharing with you 3 conclusions that we can learn from Shadrach, Meshach and Abednego and the responses that I feel like God is calling us to. 1.) There is just as much pressure to bow to idols today as there was then. They're just more subtle. But anything that we are putting in our minds, lives or hearts above God is exactly that-an idol. Sadly if anyone told us that was an idol we would probably quit right away. But so often we simply don't recognize it. That relationship in my life that I think about way more than I focus on my relationship with God? That tendency to turn to food, sleep, shopping when things go badly? No. We will never resist the enemy's tactics if we don't recognize them for what they are. 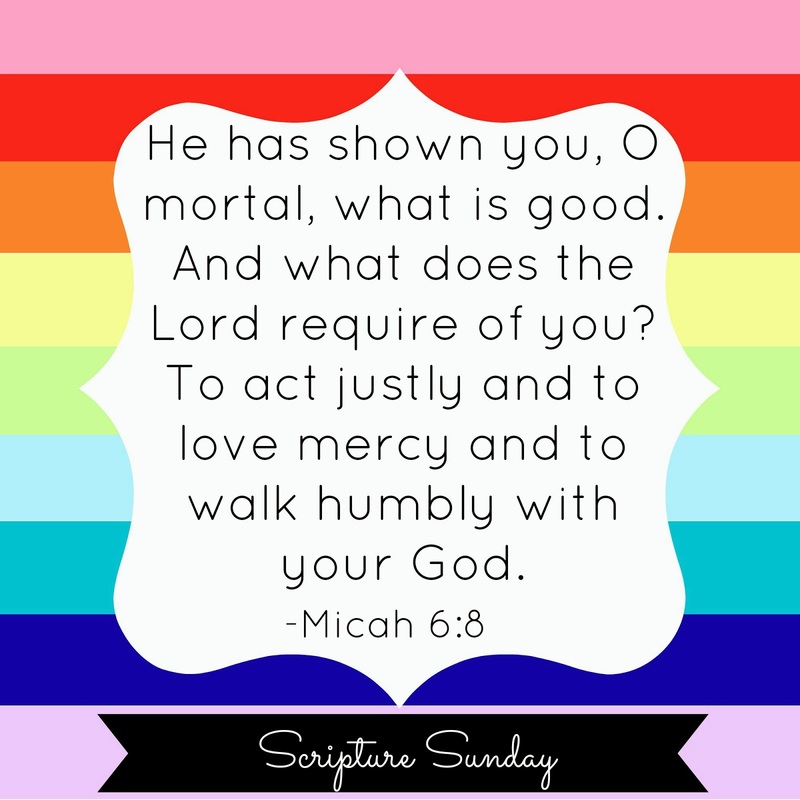 Every single day, sometimes multiple times a day, I have to make the choice-who will I worship today? Who will get my focus, my attention? 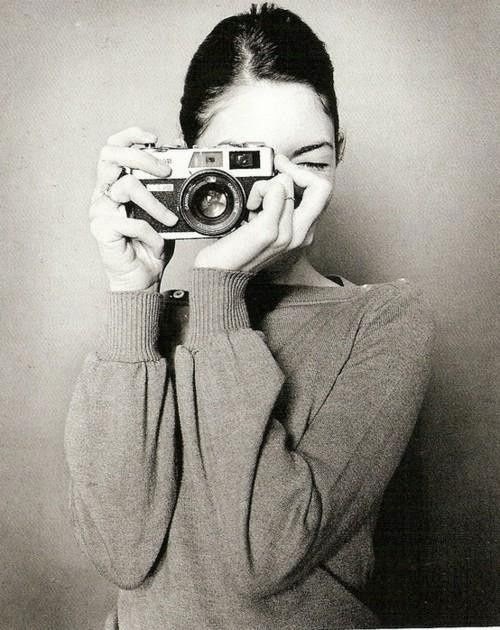 Who will get to call the shots of my day, my life? Ultimately remember this...Seeing your idol compared to Jesus will always take you from death to life. 2.) Those who bow will always outnumber those who stand. Sometimes you will stand all alone. Don't let it surprise you or discourage you. Just a few that stood alone at times as well-Abraham, Elijiah, Noah, David, Moses, Jeremiah, Daniel, Paul, and yes-even Jesus on a cross, dying a death I alone deserved. Response: Courage. Bravery to stand up even-especially-when we are the only ones standing. May we do it for the glory of God even more boldly. 3.) Those who refuse to bow will feel the heat. If you feel alone, rejected, like it's costing you something-then welcome to the cross. Our society has grown accustomed to comfort so when we are in a season of pain and discomfort, it feels wrong and off. But where in Scripture are we promised a life without suffering? No where. We are promised His Presence through the suffering though. We are never more like Him than when we are suffering for the Gospel. At the end of the day, if our faith doesn't cost us something, it won't stand up for much. Response: Suffer for the Gospel. Maybe that looks like getting up an hour earlier to spend that time drawing closer to Him before the day takes off, maybe it's standing up for your faith knowing full well you might very likely be met with nothing but rejection and oppression. On a personal note-before the week has even started I can see some idols that are going to potentially pop up against me. It's moving day around here. As you are reading this the Mr and I are probably loading up the uhaul and saying goodbye to our home. My heart is torn in a bittersweet battle. I am so excited for what God has provided in our new home and for the ways we have seen Him move. It's just one thing-He has done a lot in our current home too, and a bit of my heart is breaking to shut the door one last time and turn in our key. It was a lovely home with beautiful memories, and the most precious neighbors that became family to us very quickly. I know some of the idols in my heart this week will come in forms of sadness looking back instead of forward, and stress unpacking and not being able to find anything. So I'm going for this---remembering that HE is the prize, everything else is just byproduct. Confession time: I have been dying to post this Top 10 since January and have forced myself to wait until at least April before I throw it out at you. So the week before April is pretty darned close right? Right! 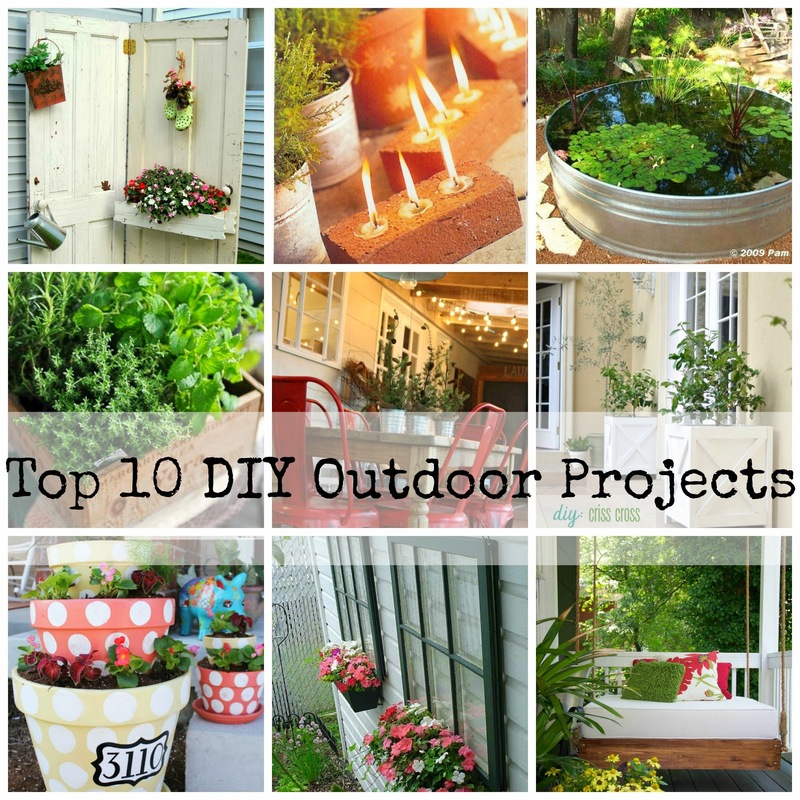 I love being outdoors and I love DIY projects, so this post is ultimately a to-do list for our new backyard this summer. These picks are my favorites and ones that I really do plan on trying out and hope to share with you! Without further ado let's get started! P.S.-if you still have snow on the ground, I hope this sheds some hope and not more frustration. Ugh I've had snow in May before so I feel your pain. But hey, build it and it will come right?! I adore this project for its beauty and it's functional potential. The Mr and I are moving in just a few days and our new backyard is much smaller then our current one. It also does not have a privacy fence. 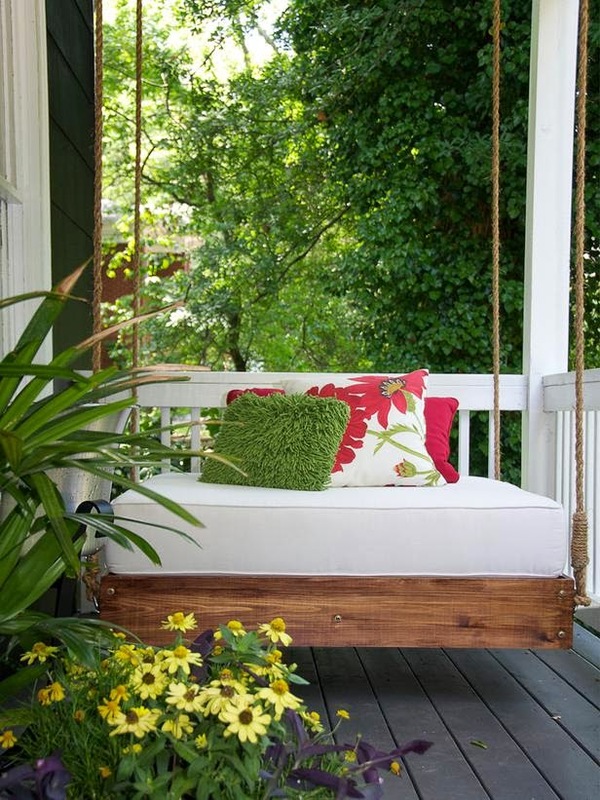 I think this is such a cute idea for the yard to make it look a bit more cozy, and to add as many hanging items as I want. I may or may not have actually squealed a little when I saw this. I absolutely adore this and if I had to pick 1 project this whole Spring to accomplish I believe this one would win. Amy does such a fantastic tutorial on it too that made me feel like I may actually be able to do it too! 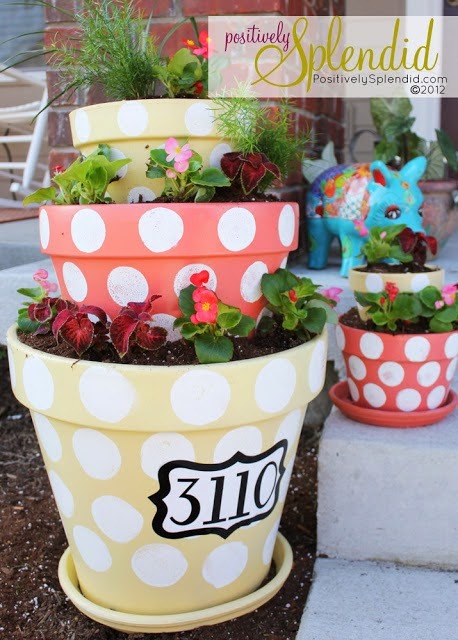 How great are these planters! I can definitely picture them with something nice and tall in them. Again this blog has a great tutorial on these that make it look not too difficult! I love vegetable gardening, and could easily spend hours drooling over gorgeous vegetable gardens on Pinterest. However this year it's not an option to dig up our newly sodded yard at our new house. 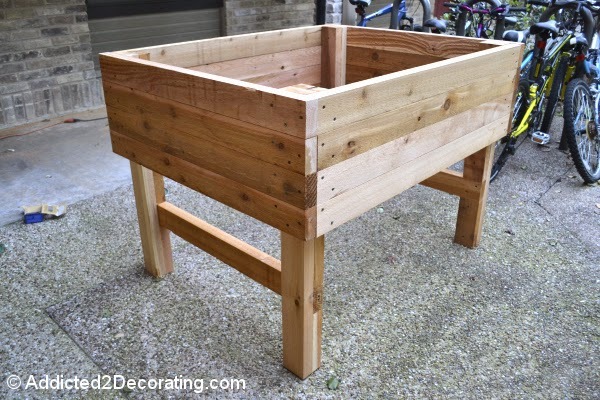 I was getting so sad this year thinking of how I wish I could be planning and preparing to plant-but this elevated garden bed was just the answer! 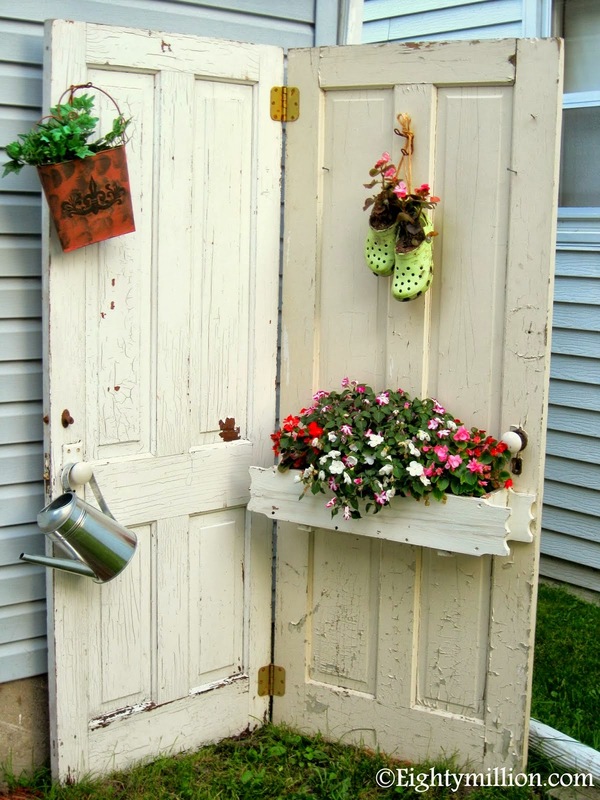 I love it and am imagining a few of these along the back fence, maybe painted in different colors/patterns! This one we should really call "a girl can dream", because the likelihood of this come to fruition in my backyard this year is slim to none. But I adore it. 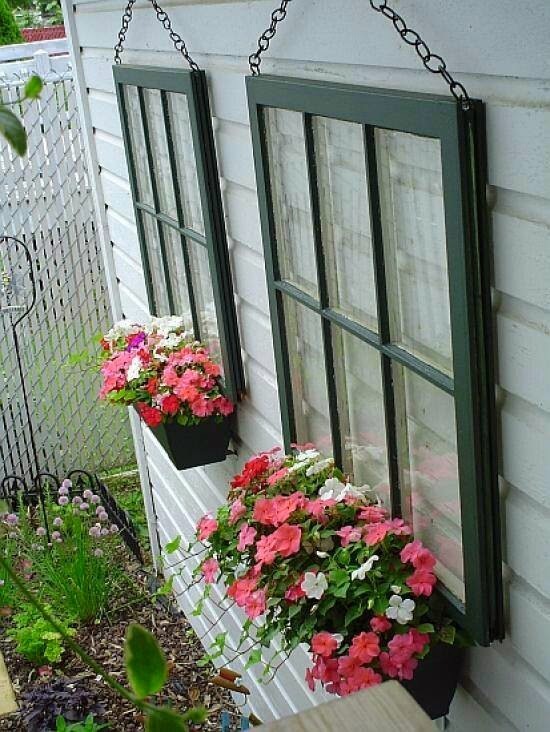 I love the "homey" feel this gives a backyard, and old windows are so easy to find these days! 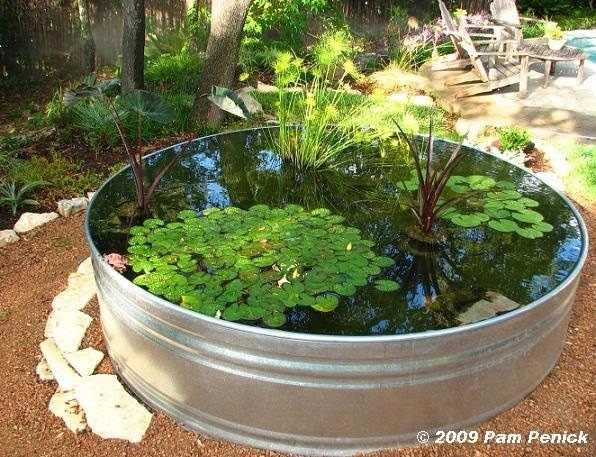 I have always wanted a small fountain in a galvanized tub in the backyard, but I love the different plants in it, making it look like a tiny pond/fountain! 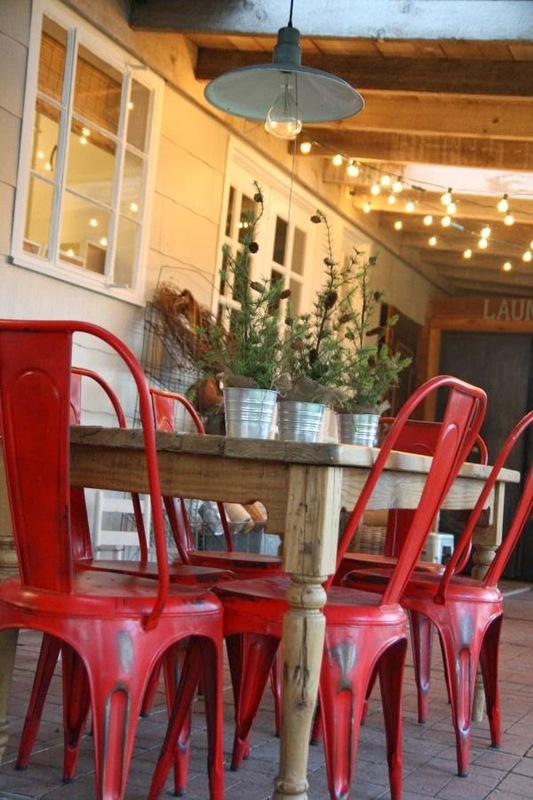 I love the mismatched patio furniture and those lights strung. I have those lights right now and love them!! 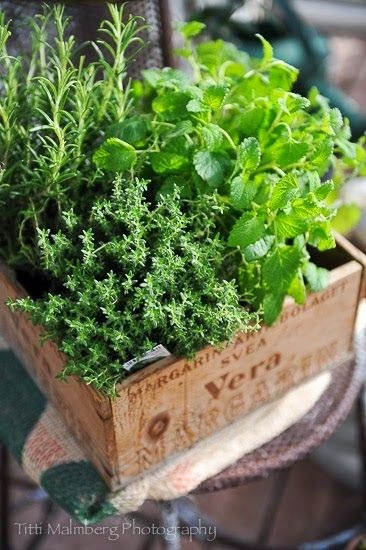 I love a good herb garden for its beauty and use! How beautiful are they in old wooden crates? If there were a record for how many times a person has said "I'm so overwhelmed" in a matter of 4 months, I think I would be taking home the gold. My poor husband. These past few months have stretched me and pulled me so hard I was sure I would snap. Yet here I am, still doing this thing called life. When the season began I can still vividly remember kneeling before God in a dark room way past midnight one night weeping, telling Him I couldn't go through "this". I couldn't put my family through this. I needed to be "put together" and "happy" and "fine". Whatever that means. That night I picked myself up from the tear-soaked spot on the carpet, dried my face, and went to bed feeling good about that little talk. I had resolved that. Gratefully. A few hours later when I woke up the next morning I realized that all those problems and issues were still there. I had resolved nothing. Oh wait. That's right. I'm in control of nothing. Today I look back on that girl who did that and have to laugh a little. Who the heck did I think I was? A few months later, I've learned a little. Not everything by any means. But a little. Today I'd like to share that "little" with you. If I could've known some of this a few months ago it would've saved me so many sleepless, tearful nights, and sweet friend-I'm praying the same for you today. 1.) Exercise fear instead of faith. 2.) Looking around to other people instead of God. I feel like this is an issue that Satan can so easily sneak up on Christians today and we are so quickly not realizing it until we are in a mess of it. Because God can, and does, use other believers in our life to speak to us, to encourage us, to minister to us-and oh how humbly grateful I am for that. But so swiftly we can get caught up in looking to them instead of Him. I think there are 2 big danger zones with this one-first we somehow have made that person(s) an idol to us as we look to them for salvation instead of our Beloved Savior-one and only. Secondly I think we can surround ourselves with a support group that tries to fill us with self-help and "pretty words" instead of pointing us to the only Healer and Deliverer. I speak this with so much love and tenderness towards you today friend, but please know that all the self-help books and "positive thinking" will only get you so far. I am convinced that no matter what the trial may be you cannot talk, work, or think your way out of it-there is one way and one way only-deliverance by the saving hand of your Heavenly Father. That's it. 3.) Trust in superstition instead of God's sovereignty. I have never been one to believe in superstition, or so I thought. I always viewed superstitions as avoiding cracks in the sidewalks and black cats. But couldn't it also be the things I look to for comfort when life gets hard? 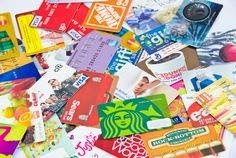 Whatever it may be that seems to "fix" it for me-food, shopping, sleep, for some-drugs, alcohol, multiple relationships. In reality the truth is whatever I think will help me feel better in my life-God is always the better version of that. No matter how hard it is to swallow this truth sometimes, if we believe God to be sovereign then our time of trial or captivity was either given by Him or allowed by Him. Meaning 1 thing-He is still in control, still in charge, even when everything seems to be so dark and spinning out of control. Maybe it's really just spinning out of "my control". - Think of Judah-captivity turned out to be the best thing for them. Ultimately when I look back on my life I have grown very little when the sun was shining and all was good. But I have grown leaps and bounds when I've all but hated life and spent each night crying out to God. -I believe that God was in control before I was born. I believe that He will be in control long after I've breathed my last breath on this earth. So what in the world makes me think He won't be in control for this portion of time that I'm alive? -For I am the Lord, your God, who takes hold of your right hand and says to you, Do not fear; I will help you. (Isaiah 41:13) The more we focus on the "I am's" of our Lord, the less the how/where/when the "I will's" will bother us. He is-and that's enough. - Whatever struggle or trial or overhwhelmed season you are in, the Promised Presence of God (yes I said promised-count on it more than your next breath) will out do and out live your pain. Every time. 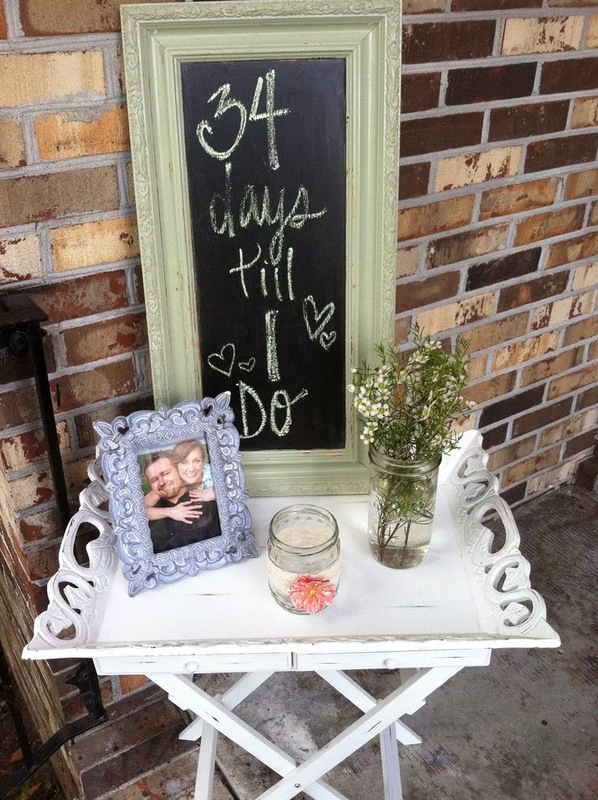 Well friends, it's almost wedding season! Which means 2 things for my neck of the woods. 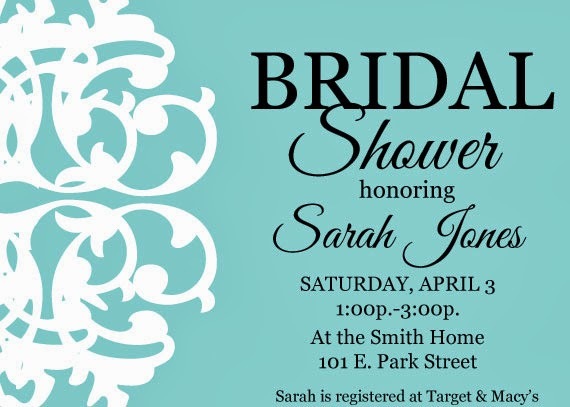 It's almost tornado season, and it's bridal shower season! I don't think I ever really appreciated a good bridal shower until my own. I still remember the group of ladies who got mine together at church and the gorgeous afternoon they planned for me. Every detail made me tear up thinking of the time and love they poured out on me that day. I still get emotional thinking about it today. Those women went all out that day and I felt so very blessed and special. 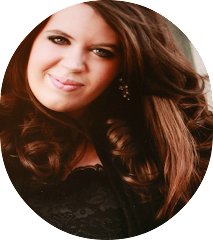 Consequently I have since wanted to help other brides feel the way I did on my special day. So without further ado, let's get to planning gals! Decorate. Decorate. Decorate. It may not seem that important but it really is. 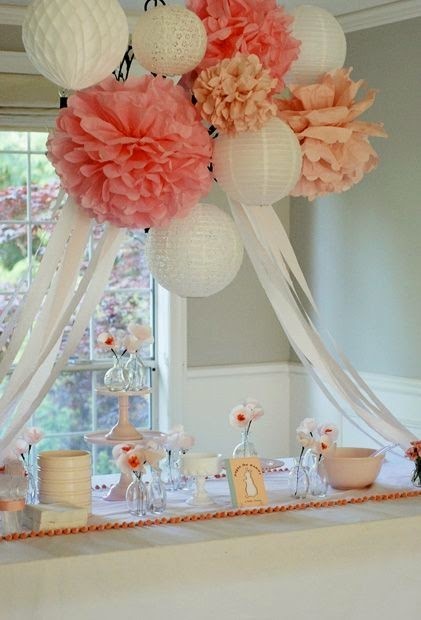 These are the details that set the tone for your guest of honor and guests, and thanks to Pinterest we now do not have to spend a fortune to do this!! 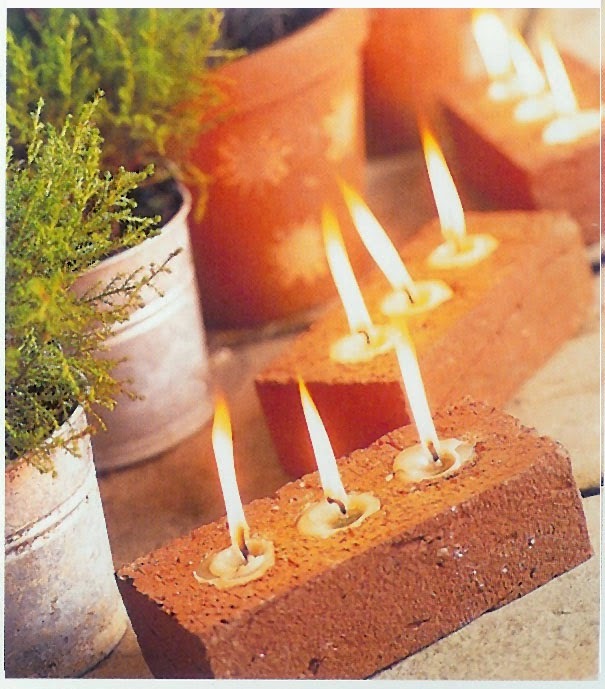 99% of the decorating ideas I love are projects I can easily (and cheaply) make myself. Start early to give yourself plenty of time so you aren't making tissue paper flowers at 1 am day of the event (not that I would know). I call this the 2 birds 1 stone idea. 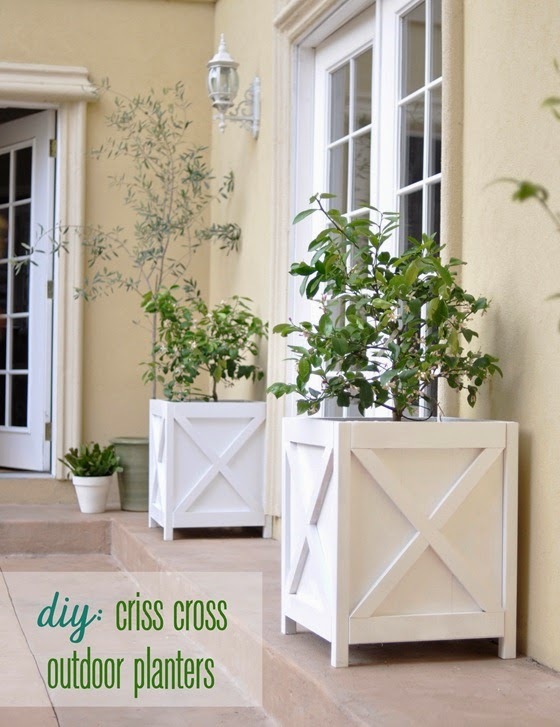 Think of ideas or projects that serve as extra decoration and a functional purpose. I love this "tree" concept for that very reason. 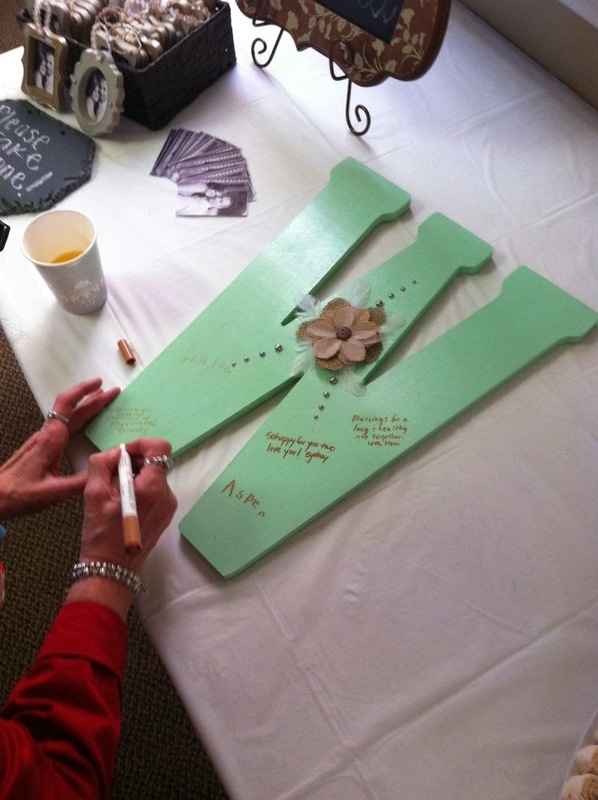 Not only is it beautiful and adds another decor item, but letting guests jot down their favorite recipe or best marriage advice/scripture would be such a special keepsake for the bride. 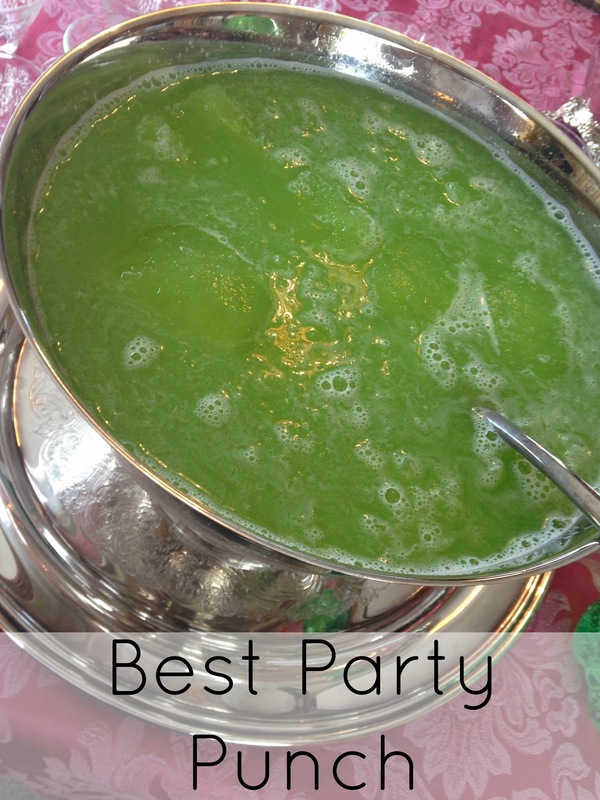 I hesitated adding this one to the list because of my love-hate relationship with favors at a bridal or baby shower. Honestly, the guests aren't 5 years old at a child's birthday party. They don't expect to get a small gift too, right? Or is that just me? In my opinion we're probably all grown adults and are there to celebrate the guest of honor and make her feel special. No gift for myself needed. 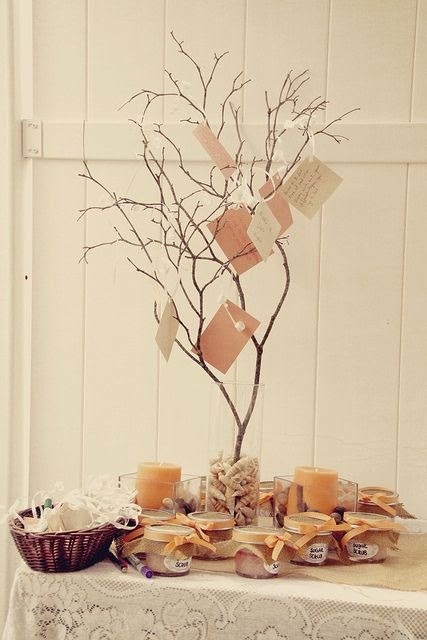 However-if you do like party favors for showers I love this idea! 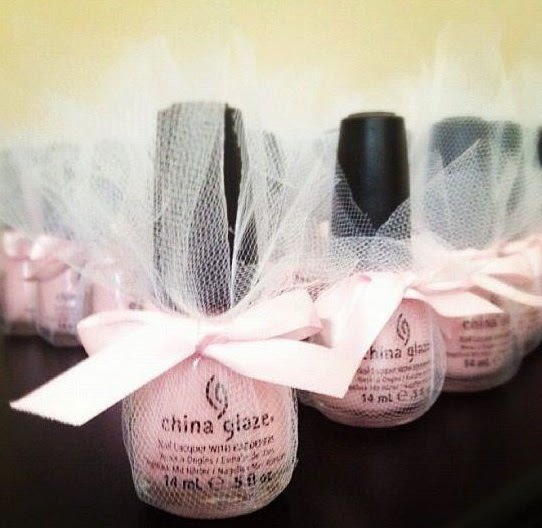 Decorating the bottles of nail polish with a little tulle and ribbon is so simple but so effective. This was one of those ideas I had never thought of until my own bridal shower. A few days before the shower one of the hostess called my mother and asked her for one of the Mr and I's engagement photos that they could display. When I walked into the shower it was framed and displayed right next to the guestbook when you walked in the door. It was such a small gesture but meant a lot to me. The invitation is crucial because it is the first taste that anyone (including the bride) will have the special day. 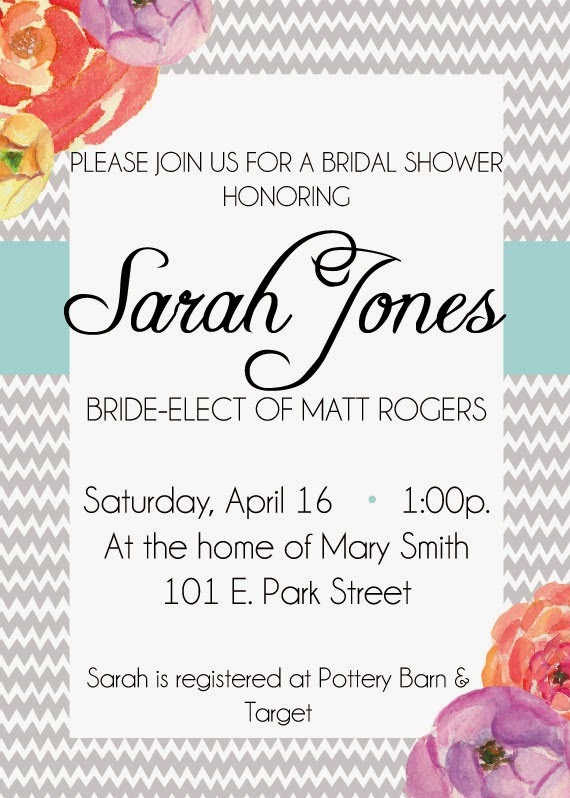 Thanks to digital file options having custom invitation designed is easier and more accessible than ever! So it's definitely something to look into before deciding it's out of your budget. 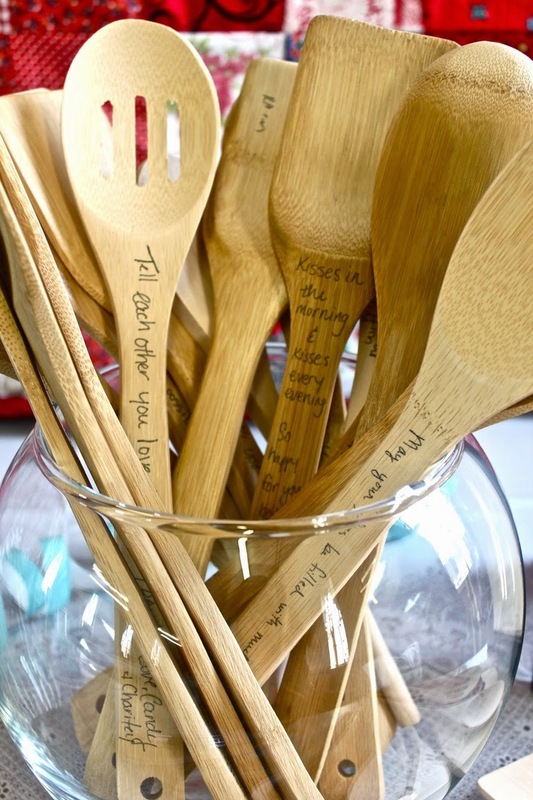 I love the idea of finding something useful and fairly cheap (So that you can easily have a larger quantity) and letting guests write sweet messages or words of encouragement to the couple. How great would that be in a year or two when the "newness" of life has worn off and you're exhausted and making dinner and see that sweet message. Love that. In my opinion every shower needs a guest book. In 20 years I want to be able to look back and see who all was there to celebrate with me. Make this step as simple as you need to or as elaborate as you want to. Just make sure something is there for your guests to sign! Designate someone that is not related to the bride to photograph the day. If possible ask a hostess to arrive early and get plenty of set-up pictures, and then of course pictures when the guest of honor arrives and as the event goes on. I had 2 people do this for me and then a couple of days after my shower I got a sweet package of 2 copies of each photo. It was such a precious gesture that I still cherish today. In addition to my main shower my sweet bridesmaids threw me a personal shower. But instead of lingerie they each had taken 2 months of the year and arrived with 2 gifts. A date night basket for each month of the first year we were married. And ya'll, they thought of everything. We didn't have to supply a thing for those date nights but show up! A couple examples, January was a stay-in movie night theme, complete with some DVD's, a Pizza Hut gift card for dinner, and brownie mix for dessert. April was a picnic theme complete with Subway gift cards, adorable paper napkins and plates, bubbles, sidewalk chalk, and a $5 bill with the note "sno cone money" on it. 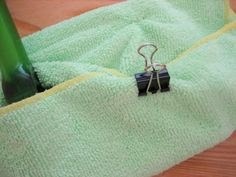 If you are doing a smaller, personal shower I would highly recommend this idea!! It was such a blessing to us the first year of our marriage. This is hands down my favorite punch to serve at any party. Not only is it delicious, but you can make it any color! Sometimes I'm a little over-ambitious. This week the Mr. and I are packing up our home and getting ready to move next week. Let me rephrase that-the Mr. had to leave town for a previous engagement and I stayed behind to pack up. So on Monday when I tried to stop packing and bake a recipe for Tasty Tuesday I should've known better. This is why you order pizza and eat cheeseburgers the days leading up to a move. Not cook. Let alone bake. Let's just say things did not go well on that one and I refused to bring ya'll a lackluster recipe. So I'm sorry for the lack of recipe yesterday. 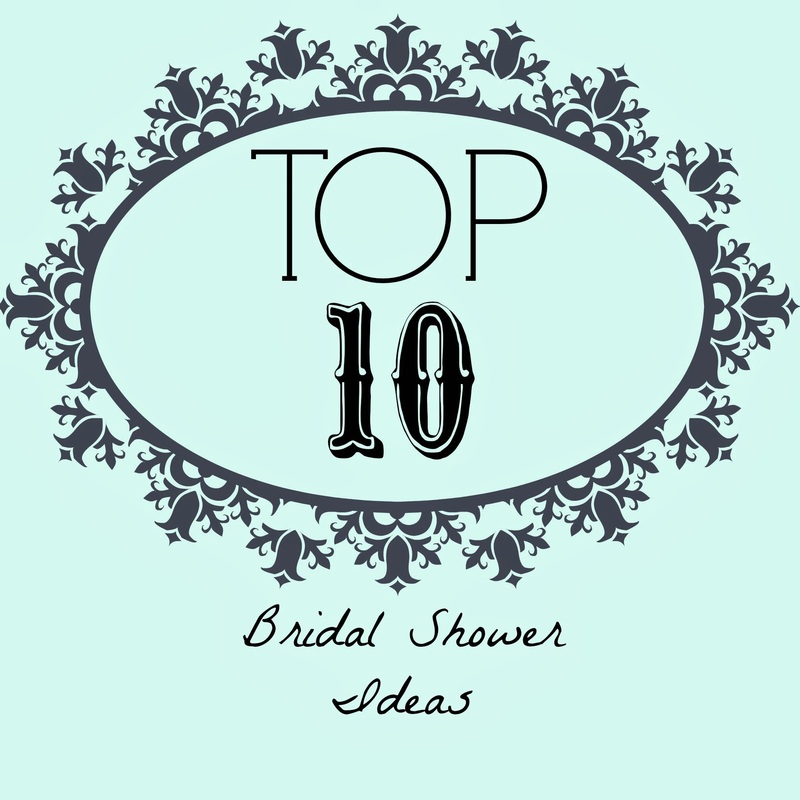 However, I do have a very exciting Top 10 for tomorrow that I can't wait for you all to see! So make sure to stop by for that tomorrow. Now if you'll excuse me I'm going to go re-heat pizza for the 3rd meal in the past 24 hours and tape up another box. P.S.-as this move has happened I have documented/photographed a lot of my favorite tips and tricks for an upcoming Top 10 Moving post that you will see in the next few weeks. Last night I learned why you should never, never pack the band-aids too soon. Looking back at the person I was back there annoys me, so I can only imagine how much I must have driven my poor family up the wall. Gratefully I have definitely outgrown that person today. I do still like to get completely ready in the morning, including makeup, before leaving the house. But I don't make it mandatory-meaning there are many mornings I don't have time and leave anyways. However the past few weeks makeup of any kind has been a distant memory thanks to my reoccurring bout of pink eye. In both eyes. 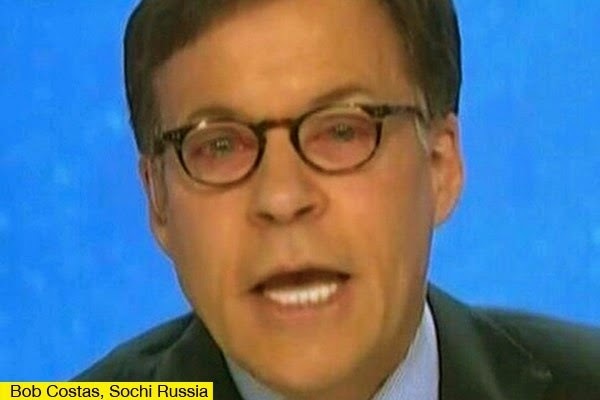 Poor Bob. I sympathize man, I sympathize. When I was younger (you know...the time most normal people get pink eye) I never got it. But wait until my late 20's and bam. I'm waiting for chicken pox to pop up any day now. The doctor says it's thanks largely to major stress. To which I respectfully reply, these painful antibiotic drops aren't calming me down any. Going from the insanely itchy to oh hey the itching stopped because a knife just went into my eye hasn't exactly been relaxing. Because of these delightful circumstances makeup has not even been an option, and I've been so miserable that I haven't even thought twice about how to work around the problem and put it on just long enough for this and then come straight home and wash it off asap. Nope. Not even a thought. I've just been running around baby-faced thinking of all those celebrities who are "snapping selfies bare-faced" and hoping someone thinks I'm just trying to be as inspirational as those people. It's given me plenty of time to think though-what are people thinking of me? What do they see when they see me? No not makeup or no makeup, not even showered or not showered. Something much deeper than that. Am I living intentionally? Purposefully? Relevantly? I am fully convinced that Christianity was meant for much more than a ticket to heaven. Don't get me wrong-I'm grateful for that. But I also believe it was meant to effect our day to to day life on this earth too. I believe that He really does have a purpose for us, and that the only way this life is ever going to mean anything is if we walk in that purpose and fulfill our calling. That's it. That's all that's going to really matter. Christianity is described in Matthew 7:14 as "Small is the gate and narrow the road that leads to life, and only a few find it". 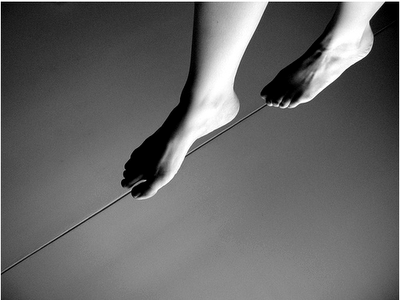 If small is the gate and narrow is the road for Christianity, then relevant Christianity must be a tight-rope. Fall to the left? Carnality. Worldliness. How can we help them if we become like them? Fall to the right? Super-spirituality that nobody can understand let alone relate to. We are called to be in this world and not of it and that's a difficult thing to do. Be in the world "too much" and the world rubs off on us...so we are no different than the lost. Be in the world "too little" and we are disobeying God's command and missing out on even a chance of being effective for His Kingdom. So how? It will only be intentional. I believe this is something that will never happen haphazardly. It will happen on purpose, for a purpose every time. This week I've got some stressful things coming up---including the Mr. having to be out of town and me having to stay behind to begin packing up our home for the big move. I'm tempted to let myself stress out and freak out and forget what I'm really doing here. But instead, I think I'll get up a bit earlier to have some extra time in prayer just me and my Maker, and try my hand at the tight rope. 1.) Big things happening around the blog this week! We all know my less than spectacular technical abilities, but this week I felt like I figured out some pretty great stuff and I'm so excited to share with you all. First of all, I have now begun to offer a printable version of each recipe. I'm hoping this makes your life a bit simpler if you want to try a recipe out! I am still working through the archives to go back and add this feature to past recipes. I'm about halfway done on this project and should be finished in the next few days. Secondly, I have recently connected Instagram to my blog! I have had Instagram for quite awhile and just hadn't gotten around to connecting it yet. This is a personal account so you see a lot of what the Mr and I do on a daily (almost) basis. Follow along here! And finally something I have had in the works for awhile and I am so excited to finally bring to you is my newsletter! This has been a labor of love for a non-tech-girl like myself, and I'm so excited about it. By subscribing you will have the option of being emailed weekly a summary of what went on here during the week, as well as a few favorites that I ran across on other blogs throughout the week, plus some other fun surprises! Subscribe here! 2.) Jimmy Fallon. Need I say anything else? I legitimately feel disappointed when I wake up in the morning and realize I accidentally slept through the show the night before. And there are various times throughout the day when I think...can't wait to watch Jimmy Fallon tonight. So funny. 3.) Even though we began this month with a Winter Storm Warning it doesn't even matter. It's March ya'll. Has a month ever looked more hopeful?! 4.) It's official, I'm hardly able to stop myself from heading outside and beginning the vegetable garden this year. It's still too early here, though the temps have been in the 70's this week we still have plenty of time (and likelihood) for another freeze before we can officially declare Winter 2014 in the books. 5.) The Mr. and I are officially moving. Thank you-from the bottom of my heart-to all who have prayed us through this decision. It is a bittersweet season, I am heartbroken to be leaving "our home", but I know no place on this earth will ever really be home. These seasons are reminders of that. We need to be out in 2 weeks and with the Mr. gone for a few days it looks like I need to get busy on getting this show on the road. Let the packing frenzy begin. Compiling this weeks theme for this edition of Top 10 gave me a faulty perspective. I spent days looking for the best and most "why hadn't I ever thought of that it's brilliant" ideas out there. I felt exhausted looking at all of this work I was reading about. And then I sadly realized my house was still a mess and reading these great ideas and concepts does not in fact change that. 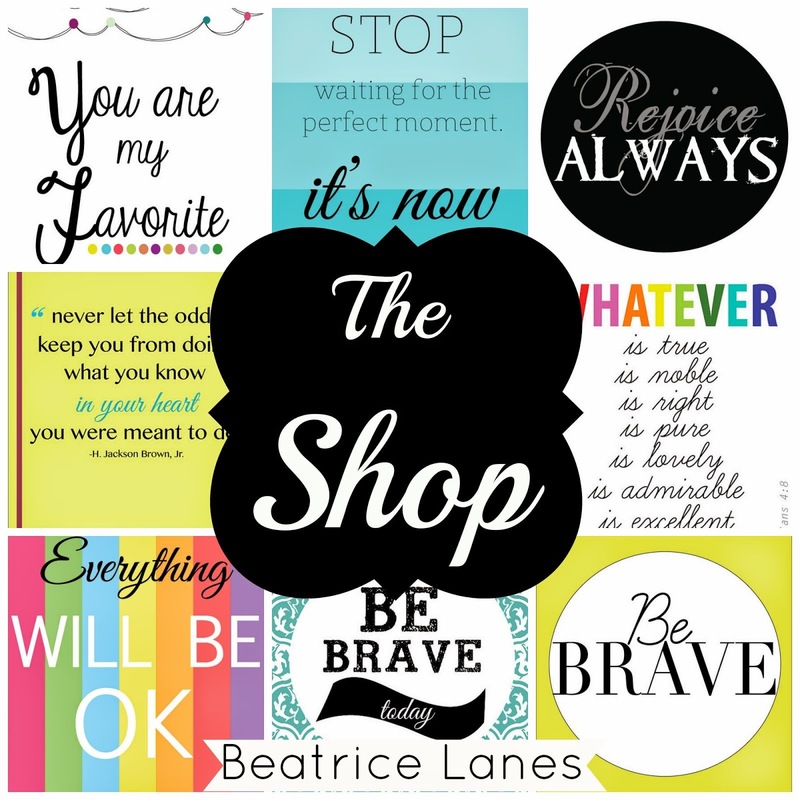 So here's to hoping that these tips will inspire you liked they did me and help you get to going more than it did me! 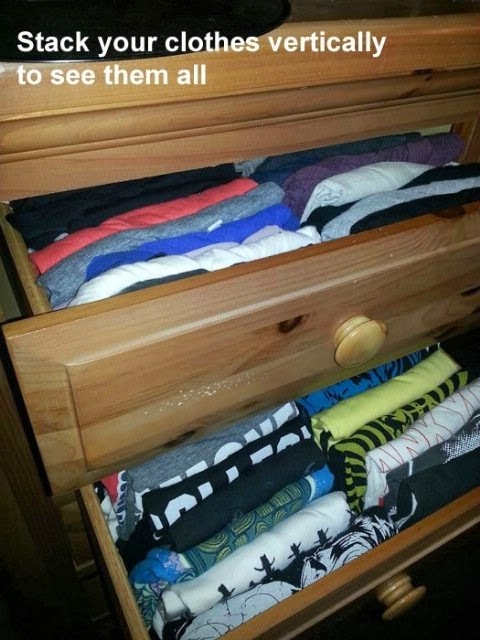 Stacking your clothes vertically in the drawer instead of horizontally so you can see everything. Yes. One of those things I slapped myself in the face for wondering why I had never thought of this. Our dresser drawers always look like we've been ransacked so I'm to excited to try this one. Ok I know this one has been floating around Pinterest for a good long forever now, but I cannot tell you how well it really works. 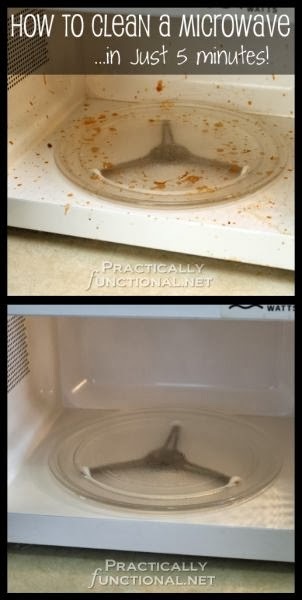 So just in case you've been the last to hear (because that's typically myself) take a microwavable safe dish and fill it with 1-2 cups of water and 1-2 Tablespoons of vinegar and microwave it for 5 minutes, then wipe out with a dry paper towel all the leftover dirt and residue. A few months ago the Mr and I were arguing about something stupid and he was helping me clean up the kitchen. As we both worked in our grudge induced silence I heard him begin to clean the microwave over something that had exploded a few days earlier. And that was when I knew I really really loved him ya'll...I stopped him and shared this little trick to make it easier for him. Mid-grudge and all. 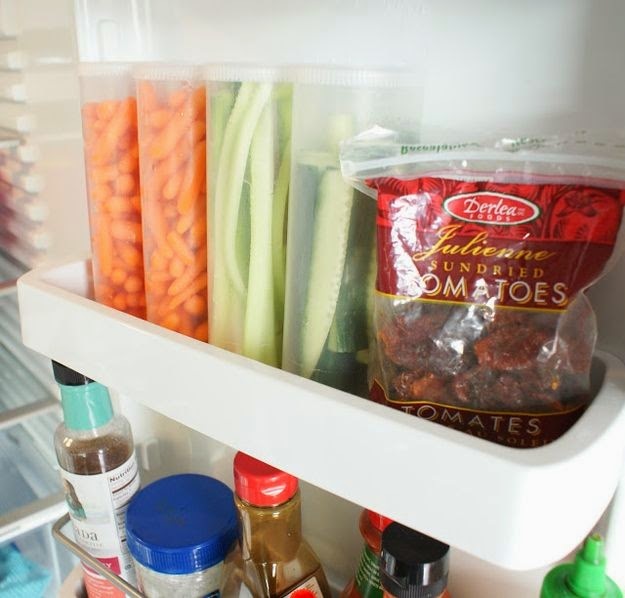 Using old empty Crystal Light containers to store chopped veggies in the fridge is genius! I love that it's free to reuse, AND it's clear so you can see exactly what's in it, without it being one more glass and potentially fragile storage technique. I love incorporating these in the pantry with dry goods as well or even for traveling to store snacks of colored pencils and crayons in! We all know I have issues-and one of my biggest ones is cords! I feel like it is a never ending mess and I have no idea how but I am always tangling them up in knots. What I hate more than that is stumbling around in the mornings still half asleep and stepping on them. By the way the floor on his side of the bed looks my husband does not share this struggle and for all I know might be dead from the ankle down as he walks on them daily and doesn't seem to mind a bit. 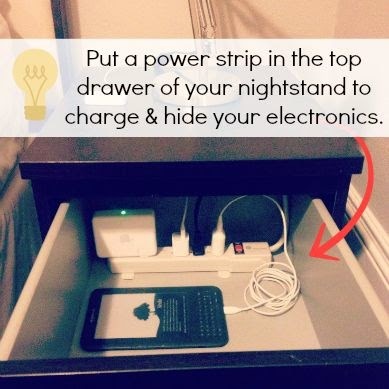 Using a power strip inside the nightstand instead of on the floor next to it is pure brilliance to me and I will definitely look to incorporating this into our new home. Again whyyyy haven't I known this my whole life? (Answer: I would've eaten my weight in freezer pops). The worst part of freezer pops is opening them. I've used scissors but then you have to wash them to get all the sticky off, which you never really get it all off, and then drying it of course risks losing an important appendage. So then I tried a knife for awhile but that risked the same thing the scissors did. So basically I quit buying them. 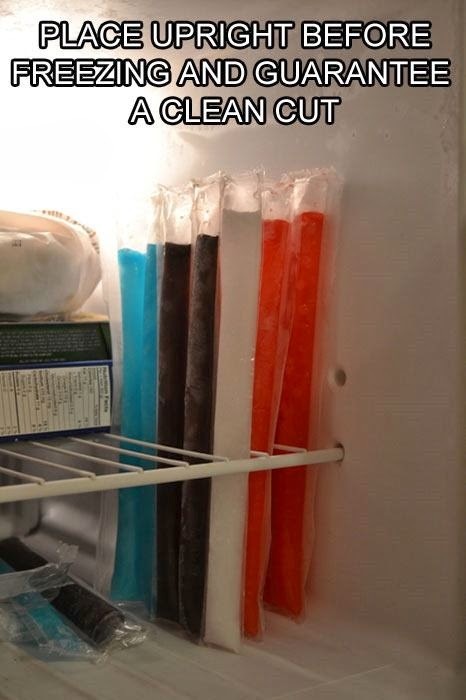 And now I have a lot of lost time to make up with freezer pops thanks to this safe alternative! I can still remember as a little girl being taught to wipe off the faucet and handles on the sink after we washed our hands because the water spots used to drive my poor mother crazy. If only she would've known this little tip! 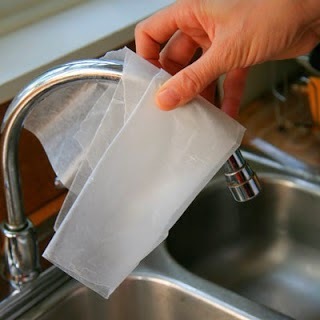 Simply wipe down the chrome with a dry piece of waxed paper and it will repel the water and prevent water spots! No more wiping down after every use! I have a cleaning caddy with my most used cleaning supplies so I can take all the supplies I need to each room with me. 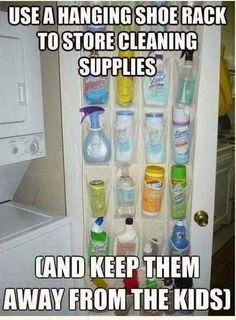 But I love this idea for all the extra things I don't use all the time, as it's inexpensive and takes up much less space than underneath the sink! I featured this idea in my Home Life series over the summer and I still use it today. I somehow got duplicate utensil holders when the Mr and I got married and I kept them all thinking I would find a use for each of them somehow. 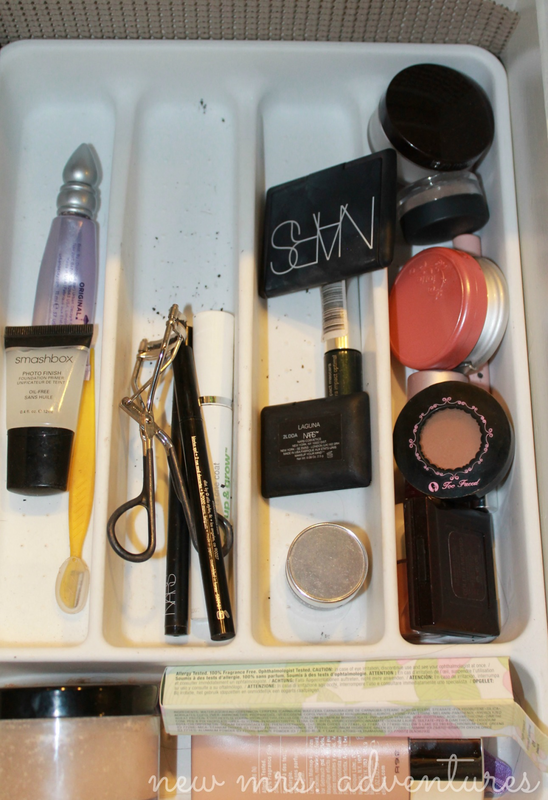 I definitely have and putting them in the bathroom drawer for all my make up I use daily is one of them! I have a basket under the sink of special products that I only use on ocassion or extra things I use when I going for a "formal" look, but this is the perfect solution for the every day stuff because it's all organized and all where I can see every thing and not be looking for what I need. 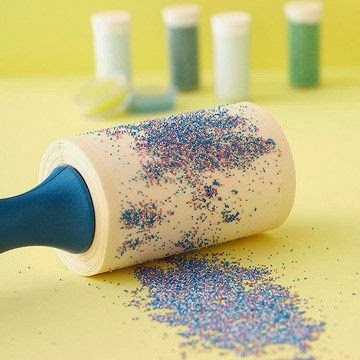 I hope this helps some of you get ready for some Spring Cleaning! Have any ideas you want to share? Please leave me a comment below! I'll edit this post adding your suggestion and give you the credit for it! Good news-I've brought a delicious banana cake recipe to you today. Not only is this cake ridiculously delicious, moist and simple to make, it's versatile. 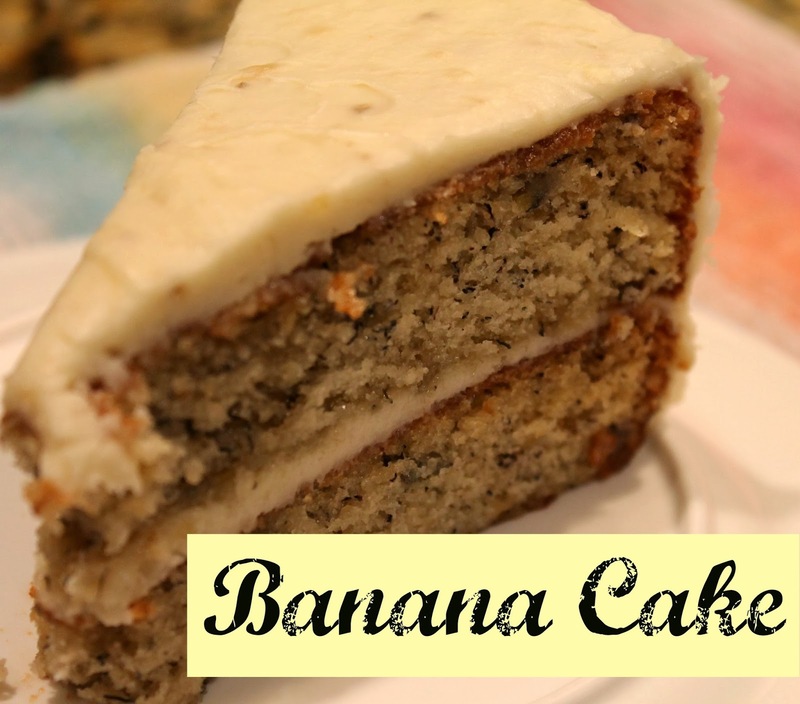 Want banana nut cake? Add the nuts. Want banana muffins? Easily done in muffin tin. Want banana cupcakes? Frost the muffins. Side note...I didn't have buttermilk the other day when I made this cake and it was 10:00 at night so I didn't feel like going and buying some. So I tried the trick of filling the measuring cup almost to exactly what I needed and then filling it the rest of the way with vinegar and letting it sit for 5 minutes. Seemed to work perfectly! Ok so for the easiest directions ever...dump all the ingredients and mix well. Grease and flour a 13x9 pan or 3 8 inch round pans and bake at 350 for 25-30 minutes. Obviously if you're using a dark color pan you will want to really watch it as it bakes to make sure the cooking time is the same for you. When I make this into a 3 layer cake my round cake pans are dark and I have to really watch it. Printable recipe can be found here! Ok ya'll, you know I'm not that up on my html jargon and technology hoopla. I guess I needed to prove that point today! A few amazing people got a hold of me and let me know that my facebook button on the right wasn't working and I seriously can't thank you enough! I appreciate it so much. I think it's fixed now, looking a bit goofy as it may. I also added my Instagram account as well so I'd love to connect with you in those ways too! Again thank you so much to those who let me know it wasn't working. If you were one of them I'd love to give you a public shout out and follow you back, so if you'd leave your name and blog in the comments on this post I'd be happy to do that. I do better with "legit" cut and paste. Combine that with my worry-er nature and we've got a disaster. I know. I've diagnosed myself with more than one disease a time or two thanks to WebMD. In other, but related news, the Mr and I are in a bit of a housing dilemma. We love where we are but feel like it isn't right for us right now. To make a long story short way too much of our monthly budget is being zapped by housing. We don't need all this space so we feel like we aren't being good stewards of God's money at this point. But we are struggling greatly to find someplace else to move to. It has been a frustrating place to be nonetheless and a few days ago I found myself crying out to God, begging Him to show us what to do. And then all that changed on the way home from church Sunday. We've been talking and stressing and constantly looking for awhile now, because of the weekend that it was (you can read more about that here in case you missed it) we made each other a promise-no house talk this weekend. We both needed a break. So imagine our surprise when something was very much handed to us today that was completely out of the blue and completely perfect for our needs. I cried all the way home with tears of gratitude. But just as soon as we thought we may have figured it out, we lost it. Hours after those tears of gratitude I was sobbing tears of frustration. Really? Again? It left me feeling stunned and lost, wondering...now what God? So then I hopped on my laptop and found my way to my home away from home...Google. I started quickly typing in various area realtors/MLS listings/financial "stuff". And you know where that left me? Right back where I started. Google. With a blank search bar blinking back at me as if to say...you're out of ideas now aren't you? And I think that's exactly where God has purposely put me. No options as far as my eye can see. No more "search ideas" to run on Google. Just a whole lot of questions, and if I'm honest, an embarrassing lack of faith. I know better ya'll. I know better. He has been faithful constantly. He has given me nothing but reason after reason to trust Him with everything-including this. My circumstances have not changed tonight, the frustration and feeling of defeat is still fresh on me and my tears have hardly dried. But I will offer up my faith, though it be the size of a mustard seed, and put away Google and all my other efforts to "figure out" everything.